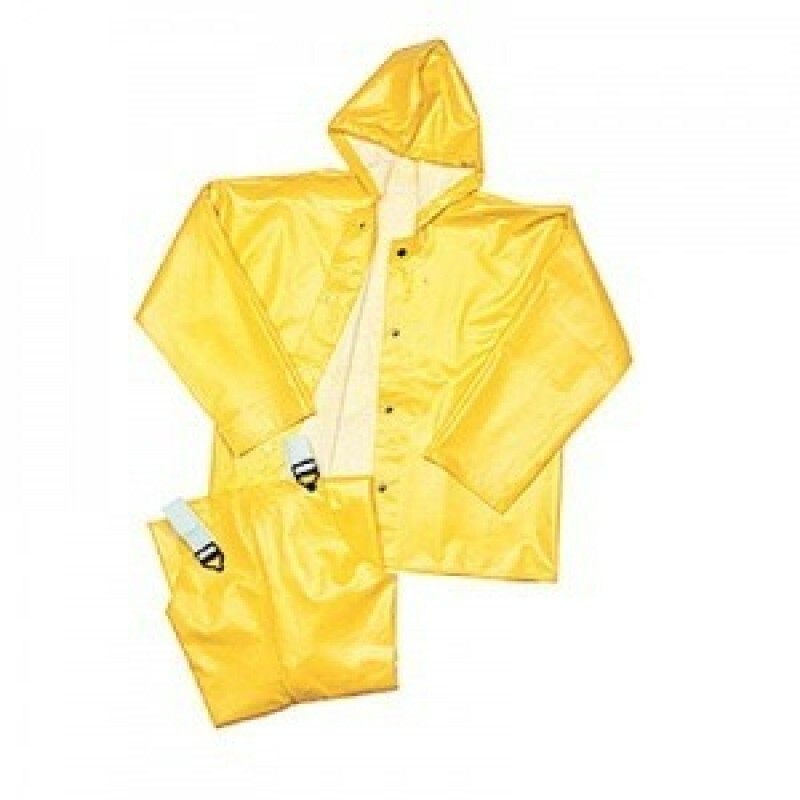 Tingley's American Rainsuit is one of the most comfortable garments on the market. PVC coated on non-woven Polyester offers affordability with comfort. Light weight PVC coating is durable and stays supple in cold temperatures. Batwing sleeve construction provides maximum freedom of movement. Therm-O-Rad sealed seams provide 100% waterproof protection. Mildew resistant. Ideal for agriculture, general industry, construction and municipalities. Chemical resistance - Many acids, oils, alcohols, salts and alkalies.